In the United States, coins are made by the United States Mint and paper money is made by the Bureau of Engraving and Printing. Both are part of the federal Department of the Treasury in the executive branch. The amount of money in circulation is regulated by the Federal Reserve, which orders new bills and coins and distributes them to banks. The executive branch of the government is responsible for controlling the coining of money. The U.S. Mint is an arm of the Department of the Treasury, which has four production facilities around the country. The Mint makes coins like quarters and pennies that are regularly in circulation as well as some coins primarily intended as collectibles, like ones made of silver and gold. 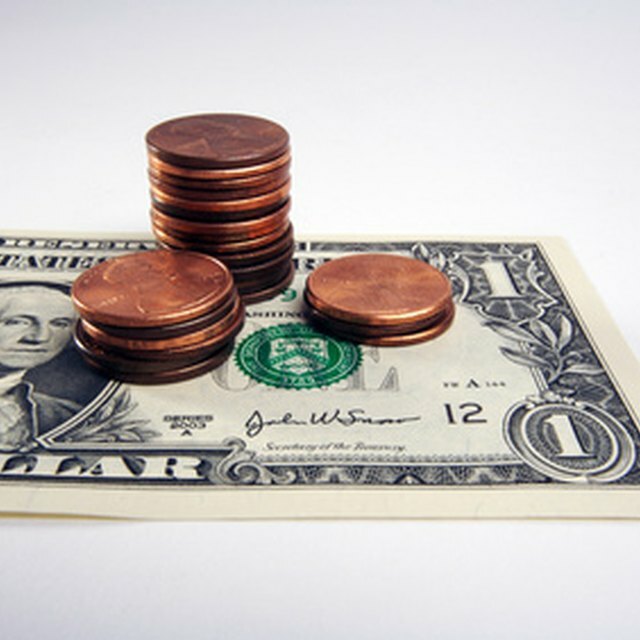 You can order coins online directly from the U.S. Mint or buy them at its facilities. You can also buy many coins through a coin dealer if you prefer. The Mint regularly sends coins to the Federal Reserve, which distributes them to banks. There are also various private mints that produce coins for collectors and investors. Those coins aren't legal tender, so you can't use them to buy and sell anything. The designs of paper money are periodically updated for aesthetic reasons to honor individuals and moments in history and to resist counterfeiting. Specialized ink and paper, mostly made of cotton rather than wood pulp like most printing paper, are also used to make U.S. money. The Bureau of Engraving and Printing receives orders from the Federal Reserve, which receives the bills and distributes them to banks around the country, which pass them on to individual businesses and consumers. Old and damaged bills are regularly destroyed and replaced with new ones. The Federal Reserve is said to control the nation's money supply. This means more than just ordering new coins and bills as old ones wear out. Generally, when the economy is doing poorly, the Federal Reserve aims to lower interest rates to get banks and investors to make more loans and enable more purchases, speeding up the economy and creating jobs. When the economy is doing well, it will aim to raise interest rates to slow inflation and to provide a buffer to give it room to lower rates for when it isn't doing as well. It adjusts interest rates by buying and selling U.S. federal Treasury bills and bonds, representing government debt, from banks. When it buys Treasuries, it's effectively sending liquid money to the banks, increasing the money supply and lowering interest rates. When it sells them, it's replacing liquid money the banks could loan out with securities they cannot, and interest rates generally go up.